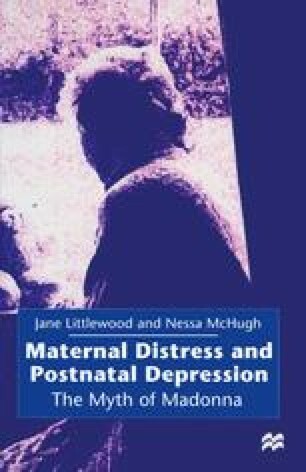 So far, we have concentrated on looking at different theories of postnatal depression and what might constitute potential causes of maternal distress. This has entailed looking at cultural and social attitudes to motherhood and medical and social attitudes towards mental illness in women. Crucial to this area is the provision of maternity services and the underlying philosophy behind maternity care. The final chapters have looked at women’s own experiences and the differing circumstances of these experiences. Only relatively recently has motherhood become a lonely condition, when responsibility for the sole care of another human being, the baby, may be experienced as overwhelming and burdensome in its isolation.